Making Better Medical Doctors of Tomorrow. Sometime during the course of the past couple of years the contact form here at Mednotes.net, once again, has gone down for the count. The problem is the same this time around as back in both 2013 and 2016, and there seemingly is no reliable way for me to prevent this from happening again and again in the future. It saddens me to think about all the questions, requests and well-wishes I neither have been able to read nor respond to during this time. And I can do nothing more than to extend my most sincere apologies to all of you who have spent your precious time writing to me. To prevent this from ever happening again, I therefore feel I have no other choice but to remove the contact form from the web site for the time being. And for those of you still needing to reach out to me, all my contact details are, as always, available at the very top of the on-site CV. I'm proud to announce that our gorgeous long-haired silver/black-tabby Siberian cat 'Lolli' is expecting kittens this spring. This will be Lolli's only litter, and the very first litter in the 'Trans-Siberia'-lineage of purebred hypoallergenic Siberian cats. The kittens will be born sometime during the first week of April, and will be ready for new adventures with new families already this summer. 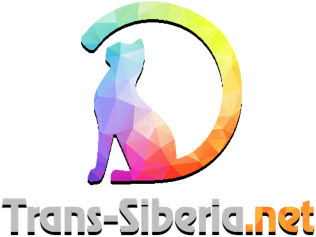 So if you live in Norway and have always dreamt of a cute, warm and fuzzy little furball in your home, head over to Trans-Siberia.net for more information, pictures and updates once these bundles of joy arrive. Vox was a seriously brilliant lightweight free music player for Mac OS X back in the day. It was the perfect companion to iTunes when wanting to listen to new music without adding it to your iTunes library just yet. It sported media key support and menu bar controls. And it played every single last obscure music format you threw at it, including all the tracker music and video game music you forgot you had. However, Alessio Nonni, the original creator, naturally sold off the rights to Vox when he got the offer. And, as such, the last completely hassle-free version of Vox remained version 0.2.7 up until Mac OS 10.10 Yosemite broke it's compatibility some years back. Introducing Vox 0.2.7 Yosemite Compatibility Update, restoring compatibility with Mac OS 10.10 Yosemite or newer. - Updated the core audio library to un4seen's awesome BASS 2.4.12. - Vox now also supports Mac OS X 10.10 Yosemite and newer. As my coding proficiency has grown through the years, I've continued to push my already published software here at Mednotes.net to the very edge of my expanding competence. Most of my applications have gained so many new features and layers of polish as to be virtually unrecognizable from their meager origins, while some have even managed to transcend the ever elusive version 2.0 barrier. To reflect almost a decade of refinements, I've now finally gotten around to create brand new screenshots for all my current software. While ScummVM is the best way to preserve and play all your old bitmap adventure games on modern hardware, ScummVM lacks the 3D rendering capabilities needed for the adventure games released around the turn of the millennium. But don't fret! ResidualVM has got you covered, with full support for several of the classic polygonal graphic adventure games from your youth. And ROMlaunch welcomes ScummVM's sister project with open arms. ROMlaunch 1.9 adds both a brand new 'ROMlaunch GRIME' game launcher as well as a 'Create ResidualVM Game Shortcut' AppleScript for seamless integration of ResidualVM with Finder. - Added brand new 'ROMlaunch GRIME' game launcher for launching polygonal graphic adventure games with ResidualVM. - Added 'Create ResidualVM Game Shortcut' AppleScript for easy game shortcut creation. - Fixed spelling in 'ROMlaunch SCUMM' and 'ROMlaunch JAG'. The all grown up Hardcover 2 moves ahead with version 2.1, adding the final layer of polish to an already solid release. However, Hardcover 2.1 doesn't come without its share of woes. Apple has in recent years made it increasingly difficult for me to continue developing Hardcover. Initially it consisted of a calculated neglect of the primary development tool of Hardcover in recent iterations of Mac OS X, forcing much of the development of Hardcover 2 over to a virtual machine running Mac OS X 10.6 Snow Leopard. As mentioned in an earlier release of Hardcover, Apple also silently dropped support for user input for third party visualizers in iTunes several iterations ago, forcing the separation of Hardcover into Hardcover [Crystal] and Hardcover [Aurora]. And, as of iTunes 12.6, third party visualizers are no longer supported in iTunes at all. Sadly, this means that the requirements for Hardcover will remain iTunes 7.4 to iTunes 12.5 for the time being. But fear not! I'm far from done with Hardcover, and there are some insanely great new features coming soon to a screen near you! - Adjusted size and position of the custom placeholder inlay in Hardcover [Crystal]. - Re-refined position of the track information. - Updated meta-information of Hardcover. After many late nights in the eery blue glow of my computer screen, I'm ecstatic to finally be able to lift the veil off of Hardcover 2. Hardcover 2 is down to a tee how I envisioned it when I first started toying around with the idea of a bold new iTunes visualizer four years ago. In my mind's eye it seemed like such a simple task, but it ended up taking me a hundred work hours and 8 iterations to get it all right. And now we're finally here! Version 2.0 brings major palpable changes to an iTunes library near you. Finally you can say goodbye to the harsh shifty album cover transitions when changing tracks with all new animated transitions. There's a low-key fading transition for Hardcover [Aurora], and an eye-popping soaring transition for Hardcover [Crystal]. There's also a new separate custom placeholder inlay for tracks missing album cover art in Hardcover [Crystal], further diversifying the two siblings. Finally, Hardcover 2 brings back manual installation (as a supplement to the automatic installation) by request from the more tech-savvy of you. - Added sweet (if I may say so myself) animated transitions when changing tracks. - Added new custom placeholder inlay for tracks missing album cover art in Hardcover [Crystal] (Once again, thanks to Jacob Knegtel and his awesome 'Euphoria' Photoshop brushes). - Brought back manual installation of Hardcover on popular demand. - Switched file icons between Hardcover [Crystal] and Hardcover [Aurora]. - Changed names of visualizers to 'Hardcover [Crystal]' (was 'Hardcover [Classic]') and 'Hardcover [Aurora]' (was 'Hardcover [Advanced]'). - Hardcover is now all grown up and version therefore bumped to 2.0. Even though it has been quiet here at Mednotes.net as of late, it has been quite the opposite in both my personal life and professional life the past couple of years. I've become the father of a wonderful baby boy. I've accepted a position at SiO, working as a medical doctor exclusively for the students, teachers, and professors of the universities in Oslo. I've become a registered breeder of hypoallergenic Siberian kittens. I've sub-specialized as both a Seafarer's Doctor and a Petroleum Worker's Doctor. And I've taken major strides as a computer programmer for the Macintosh computer platforms (yes, that IS a plural!). Brand new Mac applications as well as fresh updates to my old Mac applications will be made available in the coming weeks. In the mean time, I've updated my CV to reflect recent accolades. So for those of you keeping tabs on me, head over to the on-site CV for a quick read. If you are using a news aggregator to stay updated on news, click here to subscribe to the news bulletin. 2002-2019 © Brynjar Saunes Bye, M.D., All Rights Reserved.